No longer do you need to choose between a reliable street-legal ATV hauler and a tough rugged trail-ready trailer. With the new XRT by Extreme Road & Trail you get the best of both worlds. XRT Trailers are 100% DOT approved for highway use. Simply hitch to your truck or SUV and you’re ready to haul your 4 wheeler, UTV, or lawn tractor. Or, maybe its time for a trip to your garden center or building supply store. 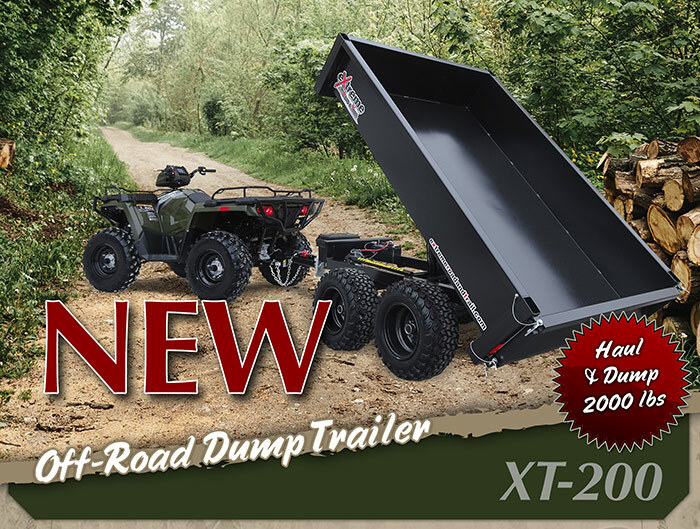 With their rugged construction and hefty payload capacities, XRT trailers are great for use on the trail! In addition to hunting and camping, the XRT trailers are great for gardening, landscaping, farming and more.